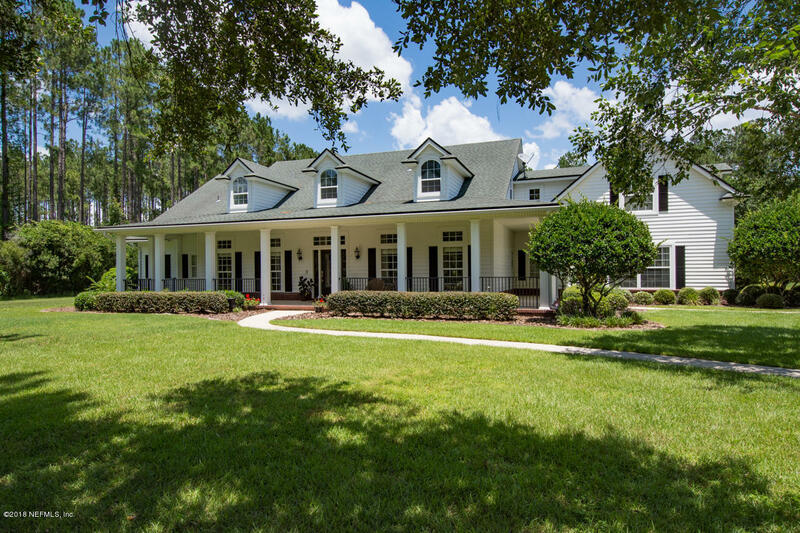 Beautiful custom home in Whitelock Farms Equestrian Community located on a quiet street surrounded by riding trails. This home sits on 4 acres that backs up to conservation. There are many beautiful upgrades including solid wood floors, granite countertops, beautiful trim work and a central vacuum. The master has travertine in the shower and on the floor and Italian marble vanities. It also contains a jacuzzi tub and steam shower. The kitchen has been recently upgraded with top of the line Kitchen Aid appliances including a double oven and gas cooktop. The backyard has an extra large outdoor living space with a large stone fireplace, pool bath and outdoor kitchen overlooking a saltwater pool.